Prerequisite: It is recommended that either the student have already completed our Windows 10 Basics course OR have a basic working knowledge of Windows 10. This is not an introductory course. 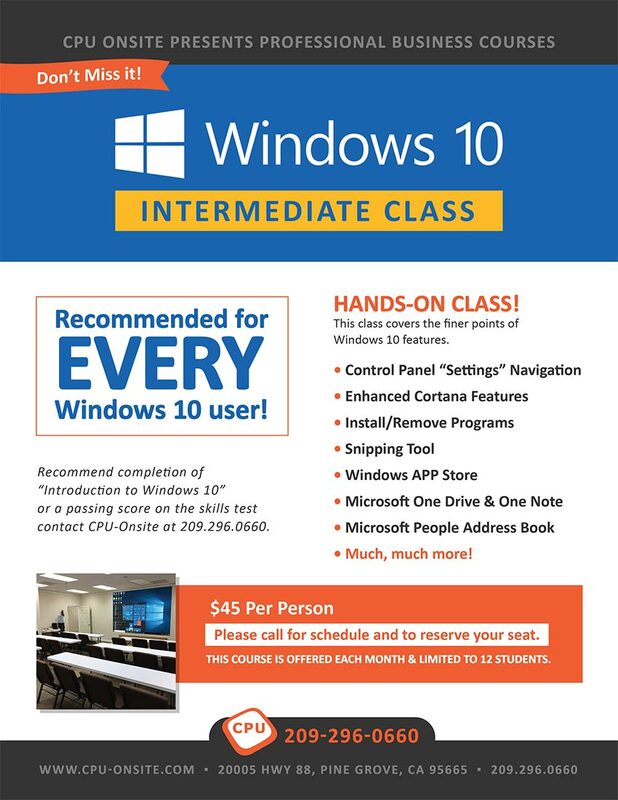 The course focus is on the Windows 10 Control Panel, Cortana features and options, Microsoft Shortcuts, Microsoft One Drive Cloud Backup, Windows App Store, and more. Class size is limited to 12 students to ensure personal attention to each student. This is a popular class. You are encouraged to register in advance.